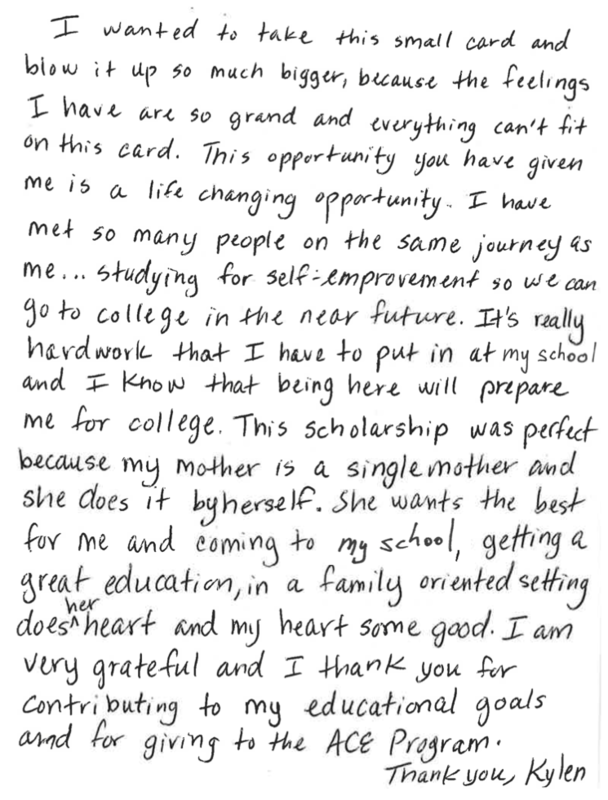 This holiday season, we want to step back and share just how much the opportunity of an ACE scholarship means to our families. 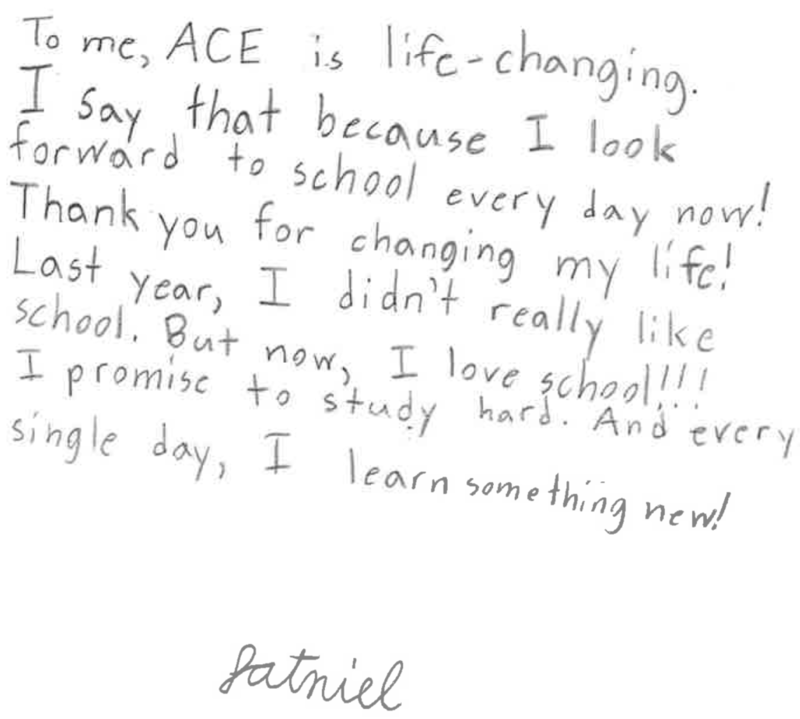 The premise of ACE is simple, but the effects on individual lives, families, and entire communities are profound. Nearly 7,000 children woke up this morning across eight different states, excited to go to school and about what the future has in store for them, thanks to the generosity of people like you. 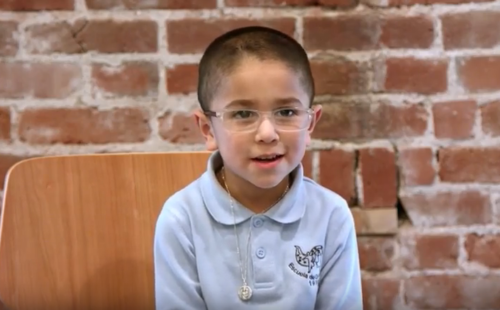 Above all, they woke up grateful – grateful for the supportive community surrounding them. 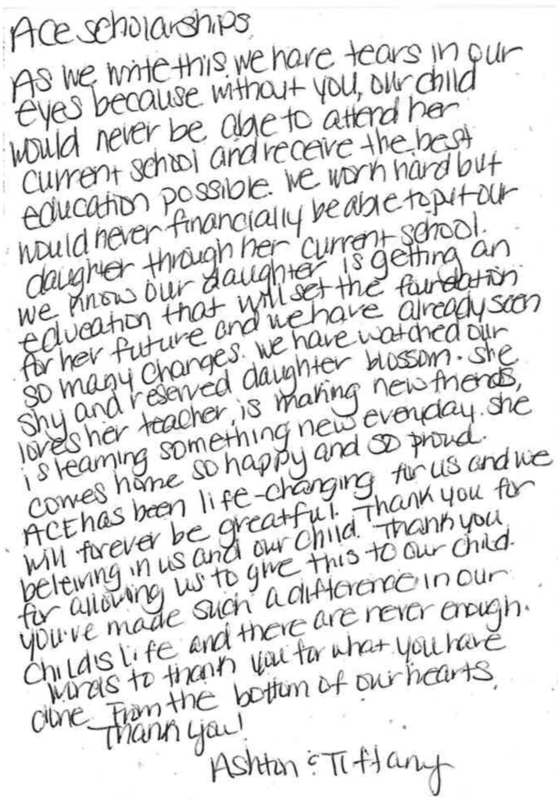 THE RIGHT SCHOOL CAN HELP CHANGE THE STORY FOR A CHILD IN NEED. That’s our stand. 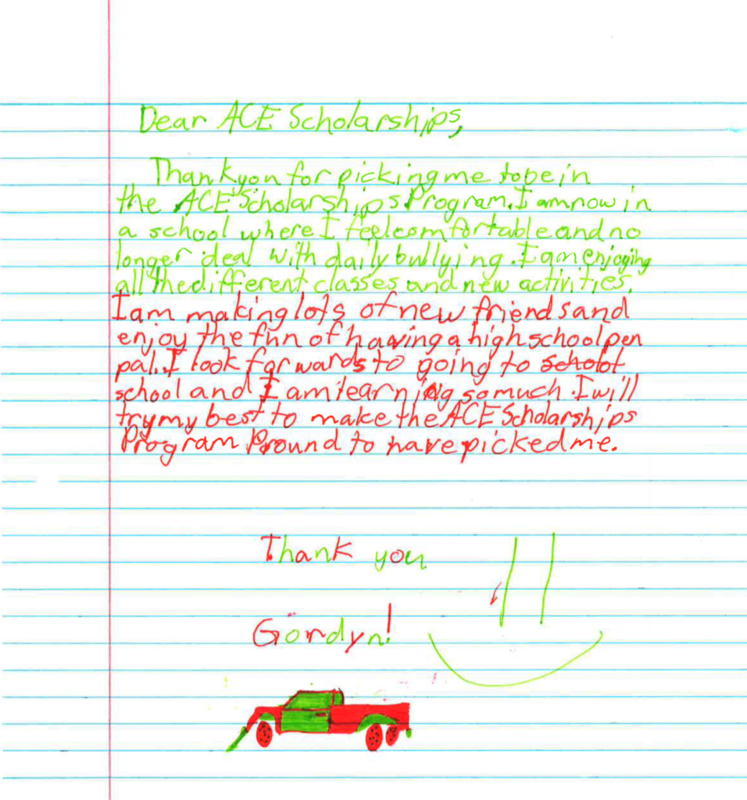 At ACE Scholarships we’re committed to helping low-income parents provide that opportunity to their children. 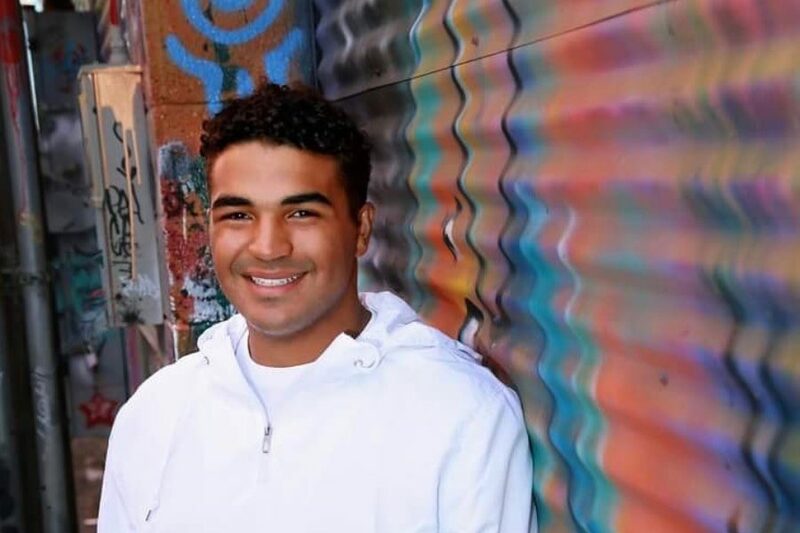 Our mission is to provide children of low-income families with scholarships to private schools in grades K-12, and to advocate for expanded school choice. Get the latest, up-to-date news & events by signing up to our e-Newsletter.